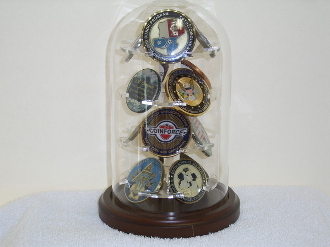 This glass dome display will hold 12 military challenge coins. The glass dome is 4” wide & 7” tall The total height with the base is 8” tall. The walnut base is 5” in diameter.